Even after so many years of getting married, when the couple fails to conceive, they opt for artificial reproductive techniques. What adds to their misery is that when these techniques also fail which leaves them utterly disappointed and shattered to a great extent. 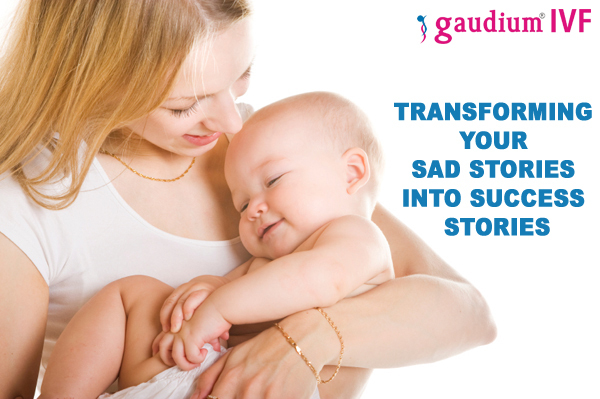 When the 34 year old lady, Shweta*(name changed for privacy reasons) came to Gaudium IVF for her infertility treatment in Delhi, she and her husband were highly stressed and disheartened. They had been married for 10 long years but failed to conceive even after repeated attempts. Shweta and her husband visited Gaudium, the best IVF clinic in India after experiencing 4 failed IVF cycles elsewhere. Since they were extremely disturbed of their previously failed cycles, they were put under few counselling sessions with our counsellor to help them calm down and start the treatment positively. After the counselling got over, the expert doctors of Gaudium did a thorough examination on them and it was revealed that she had a highly positive TNF-alpha with natural killer cells. She was put under a personalised treatment plan best suited for her condition. Under the expert supervision of Dr. Manika, ICSI was performed and Shweta conceived in the first attempt itself. Today, she is a proud mother of beautiful twins. TNF-alpha is a highly cytotoxic( toxic to the cells) cytokine for tumor cells. It shows cytolytic activity against tumor cells in vitro. The increased levels of TNF-alpha are associated with high levels of activated NK cells which leads to hinderance in reproduction. Natural killer cells or NK cells are a type of lymphocyte which is toxic to the cells and the immune system. NK cells attacks the viral infected cells rapidly forming a tumor. They are known as natural killers since they are self activating to kill cells and do not require any other activation. The correct diagnosis paired with the accurate treatment plan according to the condition of the patient is the way to achieve success in an IVF cycle. 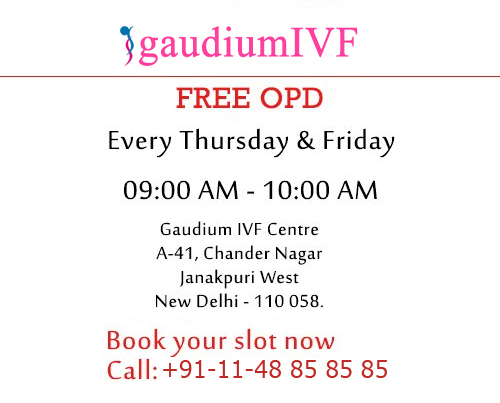 We at Gaudium IVF follow this pattern to deliver the highest success rate and making us the best IVF clinic in Delhi. What STDS can make you infertile? The ‘M’ factor in fertility! !